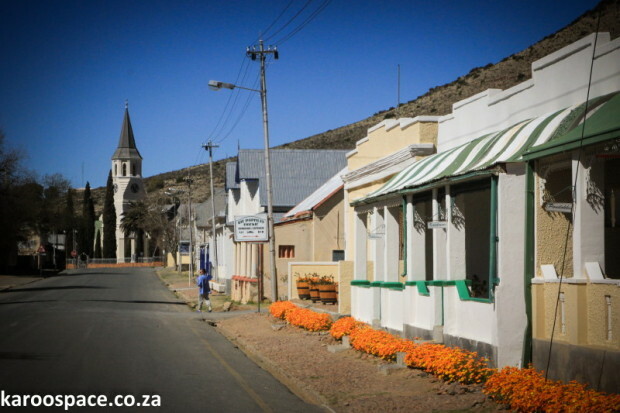 One of the most picturesque main roads in the Karoo belongs to Victoria West. The little Northern Cape village of Victoria West has seen many a drought over time. However, In 1871, the 12-year-old settlement was hit by a vicious flood which took the lives of more than 60 people. A bride died while trying on her wedding dress; whole families at dinner were swept away; most of a roomful of revellers at Quirk’s Hotel succumbed while a Mrs Jacobsohn and her children floated off to safety on a featherbed. In the decades that followed, it was all systems go for Victoria West. The villagers found themselves on a wave of good fortune, because Victoria West lay on the Diamond Way between Cape Town and Kimberley. Prospectors, miners and general fortune-seekers stopped over here en route to the diamondfields. Then, in 1909, as if to remind humans that Mother Nature still ruled, Victoria West was flooded again. 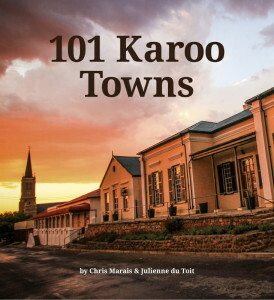 Modern-day Victoria West is a gracious village, its streets lined with Karoo cottages harking back to the Victorian era. The view looking down its main street from the Pophuise accommodations to the Mother Church is particularly stunning, especially when the avenue is lined with daisies in the springtime. The area between Loxton, Richmond and Victoria West is known as the home of the critically endangered riverine rabbit. The Riverine Rabbit Working Group has set up a programme with local farmers, helping to revegetate dry river banks where this solitary bunny likes to live. Nowadays, if you have riverine rabbits on your farm, it’s seen as a status symbol – and a sign that your land is healthy.